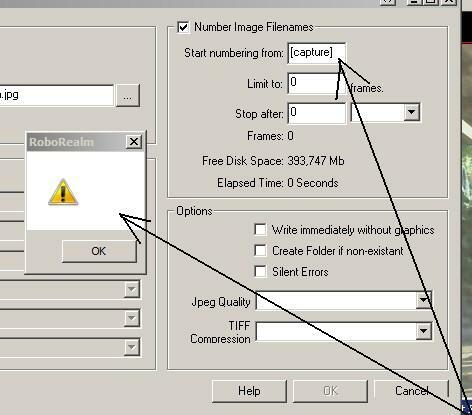 Is there a simple way to initialise the saved image number in 'write images'? I get an error as seen, unless I'm doing it wrong. Is the start value an accessible system variable? That particular value wasn't able to understand a variable ... so that has been fixed. You can now use [variable] in that field to specify a different start number. 6 digits will still be used. Note, you can also use [variable] in the filename field and use some other scripting module to create that variable filename if you need even more control.